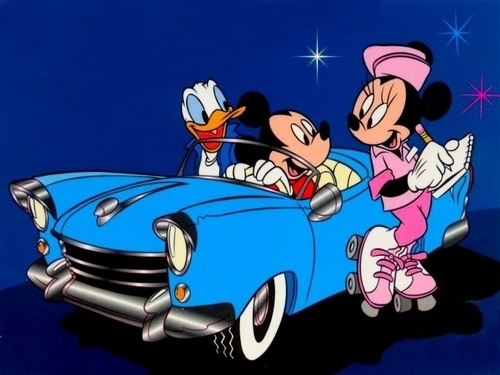 Mickey Mouse, Minnie and Donald bebek wallpaper. Mickey, Minnie and Donald at the Drive-In restaurant.. HD Wallpaper and background images in the disney club tagged: mickey mouse minnie mouse donald duck drive-in carhop wallpaper. This disney wallpaper might contain anime, komik, manga, and kartun.